I wonder what people will think when I write about how I just spent 20 minutes looking for my bluetooth earpiece to no avail and ended up in tears, now sitting here on the sofa to calm down. What do you think? What you don’t know is that for over a week now, my rheumatoid arthritis (RA) has reared its ugly head and pretty much every major joint in my body is in pain. What you don’t know is that I have a few phone calls to make and holding the mobile phone up to my ear for too long sends shooting pain through my thumb joint where the RA is the worst. What you don’t know is that I want to call the social worker on Brendan Bjorn’s disability team because my anxiety is off the wall after having been told by the letting agent yesterday that she wants to come by next week to inspect the house for damage because of a harmless cat…only 1 month after we have moved into the house. Despite me knowing the house is far cleaner than it was when we moved in, the thought of someone coming into every room and scrutinizing what I am doing, in what I consider to be my family’s private space, is highly upsetting to me. What you don’t know is that an hour ago I took 600mg of ibuprofen and it hasn’t touched the pain I’ve felt in my lower back for the last 3 weeks plus. Washing the dishes earlier today left my back in spasm just slightly leaning over the sink, you see. 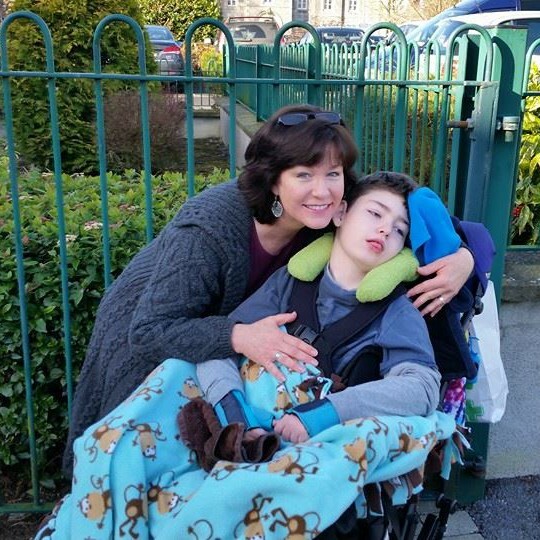 What you don’t know is that my 9 year old son Declan has had this entire week off of school but has not gone out of the house at all because I am still housebound with Brendan Bjorn being bedridden (day 114). And that kills me inside. Easter week is coming up as the next school holiday and, again, I will have no respite enabling me to take my little boy out into his world. What you don’t know is that in 4 days, Brendan Bjorn may or may not be going into hospital for a sleep study and the following day he may or may not be going under sedation (always risky for him) for an MRI, all in preparation for a needed spinal fusion operation. The stress of not being able to plan and organise our lives for next week only piles on top of the worry I have over the sedated MRI risks. In a life with no guarantees, I just wanted these appointments to be guaranteed so I could plan…and knock my anxiety level down a peg or two. What you don’t know is that last night, 30 days after having moved in, I had a nightmare about being evicted out of the house over the fact we have a cat. I was crying, begging her to let us stay. It was one of those dreams where the other person seems to not be able to hear what you are saying and despite you screaming, nothing is heard. I know it is my anxiety coming out in the form of dreams, but that manifestation speaks to my reality. Time to see if some paracetamol and a cuppa will help ease the pain before I get back to my day of caring. Ffs a cat? Omg what is wrong with people? Surely you are entitled to have a cat. You are paying rent. But estate agents here have gone the way of the uk. They are, to me the lowest form of life. Chin up.